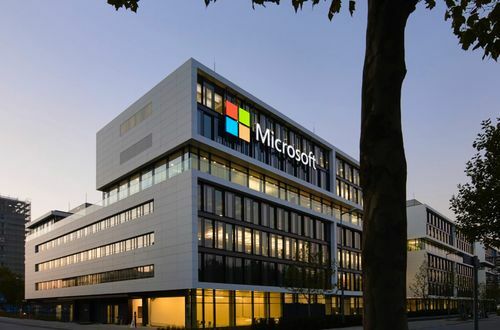 Microsoft Corporation is a multinational technology company that develops, manufactures, licenses, supports and sells computer software, consumer electronics, personal computers, and related services. This numerical reasoning test comprises of 20 questions to be answered in 20 minutes. They relate to graphs, percentages and tables whereby you will be asked to analyse data and chose from a set of multiple choice answers. The Microsoft Verbal Reasoning test comprises of 40 questions to be answered in 20 minutes. You will be presented with a series of paragraphs which you will be required to read and then answer questions. Your options will be True, False or Cannot Tell. This test will be assessing your analytical skills. Microsoft’s Diagrammatic reasoning and logical reasoning tests comprise of questions relating to sequences of shapes and patterns. In each question there will be a missing step and you will be provided with a number of answers to choose from. The Microsoft Situational Judgement Test presents you with a series of challenging scenarios that one might encounter in the workplace and then a number of possible responses to the scenario. You then choose which one you feel is the best way to describe how you would react. As with the rest of the tests you will be timed and so it is important that you read the information properly and not rush. This will be in the form of a case study using the e-tray exercise which makes use of a simulation in which you receive e-mails which you are expected to read, prioritise and process in order to complete several tasks. These tasks are representative of those that you might be expected to undertake in a work or business setting. Group Exercise This could take on various forms, but the main point to remember is that you will be assessed in terms of how you work in a group as well as how you contribute. It is important to get the right balance when giving you opinion and listening to those of others. Case-study presentation You’ll be given an hour to prepare a presentation, to be given in front of one of the assessors. You will then be required to answer questions in order to demonstrate your knowledge of the company and how you would work under pressure. It will be based on something you already know.